Samsung has announced that the future generation of Samsung mobiles won’t be disappointing its customers due to low battery life as seen in its latest S6 Edge that lasts an average of 12 to 14 hours only. Samsung Engineers from R&D center of Samsung Electronics have succeeded in developing Li-ion (lithium ion) battery technology that will provide a power boost to cell phones. In the new technology the Li-ion batteries uses silicon anode rather than graphite used in current batteries, providing more capacity. 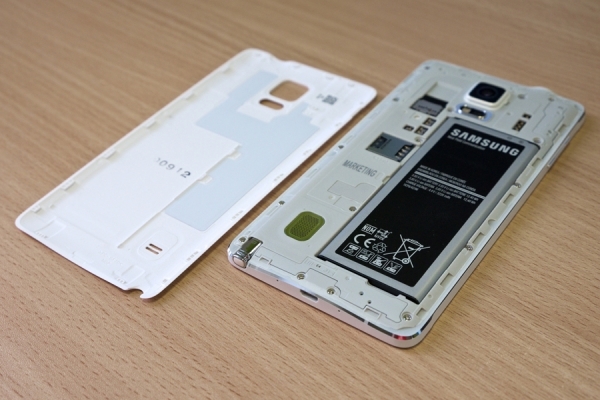 The researchers used graphene to enhance the battery density. In experiments the batteries were found to be 1.5 to 1.8 times denser than the normal batteries. This implies that battery with 12 hours of battery can be boosted to up to 21 hours that is almost double the lifetime using this new technology. Graphene is directly grown over Silicon nanoparticles without forming silicon carbide. The graphene layers accommodate the battery volume expansion and make the battery denser rather than maximizing the dimensions. When this layer is combined with Li cobalt oxide cathode, the graphene layers provide the volumetric energy of 972 and 700Wh l−1 at first and 200th cycle. Samsung is working to enhance the battery life, which has always been the issue for consumers as we can not seem to ever get enough battery life from them. This advancement will provide the users a day full of mobile surfing without being worried about the battery backup. Samsung expects to commercialize this technology in the market by the year 2018, so Samsung lovers still have to wait for another 3 years. It is expected that Samsung would use this technology car cars. Last year, a “smarter Lithium battery” was developed by United States scientists that used to pre-alert the users of heating and fire potential. The technology will not only be beneficial on mobile devices, it will also cause lead to enhancements in batteries used in electric cars and even airplanes.